Bhimashankar Jyotirlinga Temple is very ancient temple located in state Maharashtra and is the Sixth Jyotirlinga in the series of 12 Jyotirlingas of Shiva. Bhimashankar Temple is situated 50 km north west of Khed and almost 110 Km from Pune.Devotees can get Bhimashankar Temple Darshan Timings, Pooja and Abhishek Timings here at Darshanbooking.com. 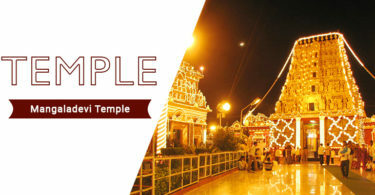 The significance or importance of the Bhimshankar temple is that the Linga of Lord Shiva is one of the twelve Jyotirlingas and it is self-manifested images of Lord Shiva.It is one of the famous temples in Maharashtra and on Special attractions like Maha Shivaratri,Karthik Poornima and Ganesh Chaturthi festival the Darshan Timings, Pooja & Sevas with Timings may change. 1) Except Monday, Pradosh, Shravan Mass, Mahashivratri – Present Abhisheka (Abhishek inside temple ) will be performed till 2.00 PM. 2) On Monday, Pradosh, Shravan Mass, Mahashivratri – Present Abhisheka (Abhishek inside temple ) will be performed till 6.00 PM . 3) No advance booking required for the pooja tickets. Tickets to be purchased on arrival at the counter for the same day Pooja. You had given detailed information regarding accommodation for Trimble hear it trust and in between gave a small caption for e donation which is ethically wrong and confusing as devotees intending booking of given accommodation often make e payment buy when reach their guest house are again demanded same amount for accommodation. It happened to me on 6.12.18. Not only this trustee is an arrogant man didn’t know how to talk to senior citizens. It became a tool of cheating. He challenge d me to file FIR. I.therefore request to remove said caption for e payment from your site immediately so that there may not be a big trouble/ litigation on this account. K C Hooda 9717484982. After re checking with our editorial team, we are unable to locate info regarding e donation links on our site. 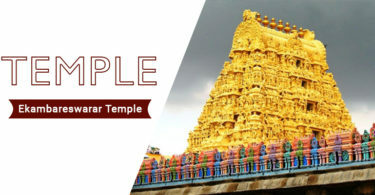 We are just information site and doesn’t claim to accept or portray that we are representative of any trust or temple. We are very clear on this and make sure that we don’t publish any false info that mis guide our readers. Having said that, we deeply feel for the dissonance that you have gone thru at the temple.